An integrative wellness plan for a dog or horse will help maintain their health, address issues naturally and optimize their performance and disposition. 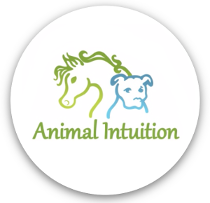 Animal Intuition works with you to develop a custom program for your dog or horse using a variety of therapeutic options based on their needs. Both canine and equine massage therapy includes the use of a variety of massage techniques, including trigger-point therapy. Additional services can be incorporated in such as, Reiki, aromatherapy using Young Living therapeutic-grade essential oils, acupressure and stretching exercises to provide a unique and beneficial experience for your horse. A dog and horse will benefit from massage in many of the same ways we do as humans. Canine and equine athletes performing to their limits, those that have had injuries or illness, under stress or tension and elderly horses can all gain from the experience of a therapeutic canine or equine massage. The best practice is to incorporate a preventative maintenance schedule to help avoid injuries, but a dog or horse can be treated after an injury has occurred to expedite the recovery process. Many times, when a dog or horse gets injured is exactly when and why people contact their canine/equine massage therapists. Massage therapy can help expedite the healing of an injury in many cases. However, there are times when massage is not a good fit and could cause additional pain and suffering. A knowledgeable and experienced equine massage therapist should be able to guide you and help determine the best course of complimentary care based on your veterinarian’s diagnosis and your dog or horse’s condition. Learn more about when and when not to have your dog or horse massaged. It is best to perform an equine massage when your horse is relaxed and in a clean and comfortable environment. Scheduling when commotion is high or during normal feeding schedules can be distracting and the horse may not realize the full benefit of the experience. Another horse can be brought into the barn as a partner to help if your horse does not like being alone, but it is not necessary. Please review the guidelines below to help get the most out of your therapeutic equine sports massage. Please feel free to contact Animal Intuition prior to the appointment if you have any questions or concerns about the preparation for the massage or what will happen during the session. Your horse should be inside and groomed for the appointment. A box stall or quiet area of the barn should be used for the massage. If your horse is anxious or high strung, lightly work on a longe line prior to the appointment. The horse should be cooled down, dry and relaxed by the time of the appointment. We service most of the Twin Cities and outlying suburbs in Minnesota as well as western Wisconsin. We have offices in Edina and Ham Lake where we provide healing and bodywork services, including massage. Mobile services are available as well. An Integrative Plan - Essential for Every Horse. Let's Start With Equine Massage. Equine Raindrop Technique: Out of the Box Thinking on Supplementation. Learn about the Equine Raindrop Technique and the benefits for your horse. 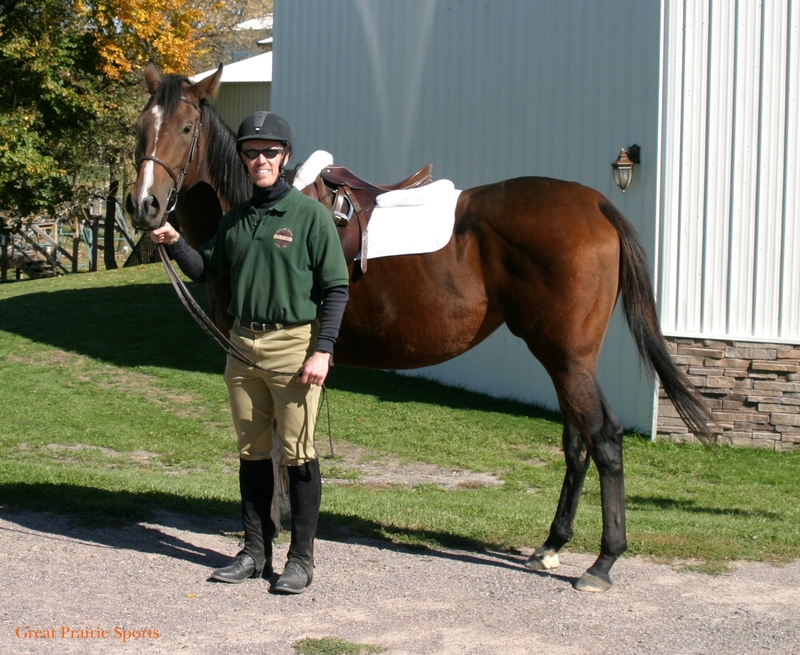 Holistic Equine Care Clinic was held January 15, 2011 at Equitation Station, Hastings, MN. Many people took on the Minnesota cold and came out to join the clinic. Check out the Recap of the event. Read the Press Release about how Peace of Mind, Body & Soul is helping educate the Vet Tech and Massage Therapy students at the Minnesota School of Business. The Importance of Stretching It is often helpful to incorporate stretching in as part of their exercise routine for your horse. Learn more by reading the full article. Equine Acupressure, Easy Do-It-Yourself Method! Read about how you can help your horse by using acupressure. This works for cats and dogs too. Check our event listing as we often teach classes on this topic. Are Massages For Lame Horses? Learn when and when not to have your horse massaged if injuries are present. Massage, Part of an Animal's Whole Wellness. Read how chiropractic care and massage work synergistically to help heal injuries and promote wellness for your animal companions. It's Time for Spring Tone Up: Help get your dog or horse into shape faster using natural ways, such as massage. PRESS RELEASE: Peace of Mind, Body & Soul Provides Educational Seminars on Integrative Wellness for Animals at the Minnesota School of Business. Massaging Your Own Dog or Horse: Learn more about canine and equine massage therapy and the differences between doing it yourself and having a professional work with your animal. "Thank you for massaging our Pentathlon horse, Reign of Power in May. She was really good for me that evening and probably the best she's been in about five months. Since then (it's now July), we cleared a 3'-0" jump for the first time!! She's very eager to jump and her cantering has been very smooth. She's even been long and low with her neck, which wasn't evident over the winter. I'm amazed at the difference just one massage has made for her physical well-being and her ability to stay focused. Thank you again!"